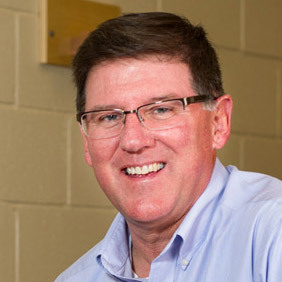 Dr. Stephen Guffey, professor of physical therapy, is the March Research Professor of the Month. This monthly award given by the Faculty Research Award Committee recognizes scholarly, research or creative activity significant and relevant to the recipient's discipline. In an online video, Guffey discusses his work with fellow healthcare faculty in the use of light energy as therapy, along with student research opportunities and multi-discipline collaboration. Dr. Herman Strickland is emeritus associate professor of teacher education and dean of University College. 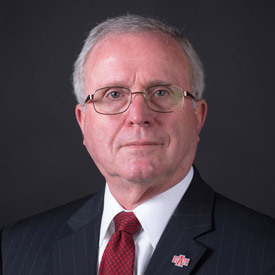 He and his wife Maxcine are the fourth couple in The Circle, for whom the new graduate student housing west of the Military Science Building is being named; one building will be Strickland Hall. 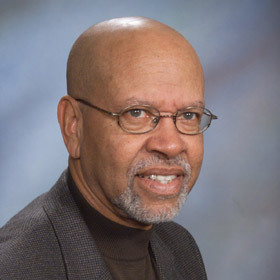 Strickland was a faculty member from 1972 until he retired in 2008, helping prepare numerous educators for their careers. See a video. Dr. Len Frey, vice chancellor for the Finance and Administration Division and professor of management, was recently elected to the executive committee of the Jonesboro Economic Development Corp. A former chair of the Jonesboro Regional Chamber of Commerce, Frey also serves on the Momentum Jonesboro Campaign Committee, and he has been a leader in economic development efforts in Jonesboro during the past two decades. 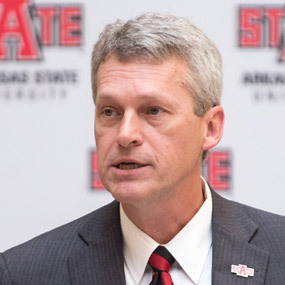 During the Board of Trustees meeting at the ASU-Mountain Home campus last Friday, Chancellor Doug Whitlock presented a video report on major faculty and staff achievements and activities at A-State since the last report in December. He also presented a video on The Circle, for whom the new graduate student housing has been named. The video report is online, as well as a news release about the meeting. Dr. Sarah Wilkerson Freeman, professor of history, is curator of "Beauty in a War Torn World," a collection of photographs from the Japanese internment camp at Rohwer, Arkansas, during World War II. The collection will be displayed in March at Memphis Botanic Garden. An opening reception will be Sunday, March 5, and she will present exhibit talks about the collection March 9 and March 21. Details are available online.